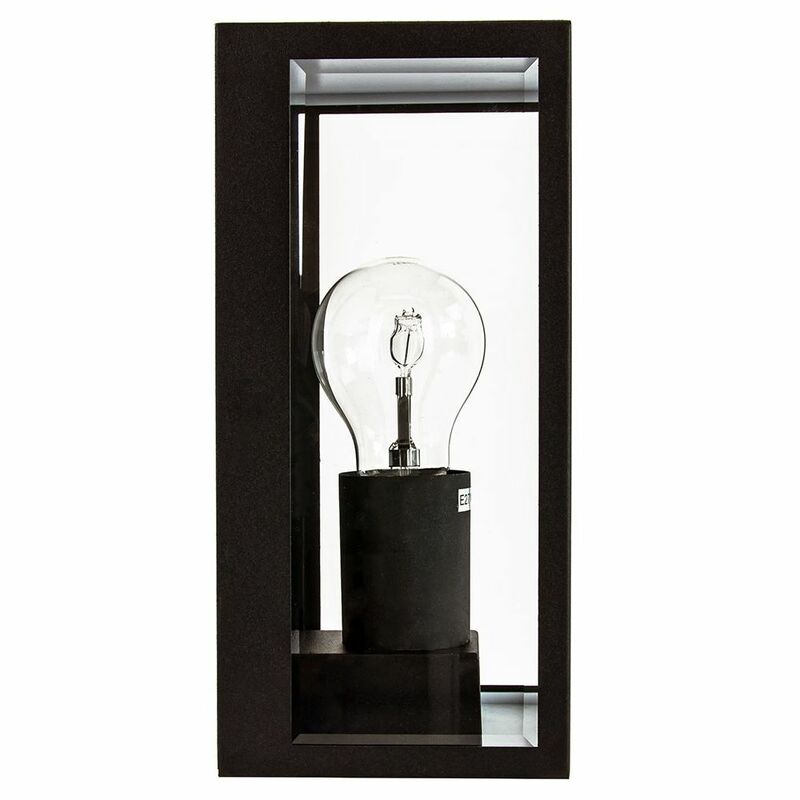 Contemporary and stylish exterior IP44 wall light fitting with matt black die-cast aluminium frame. 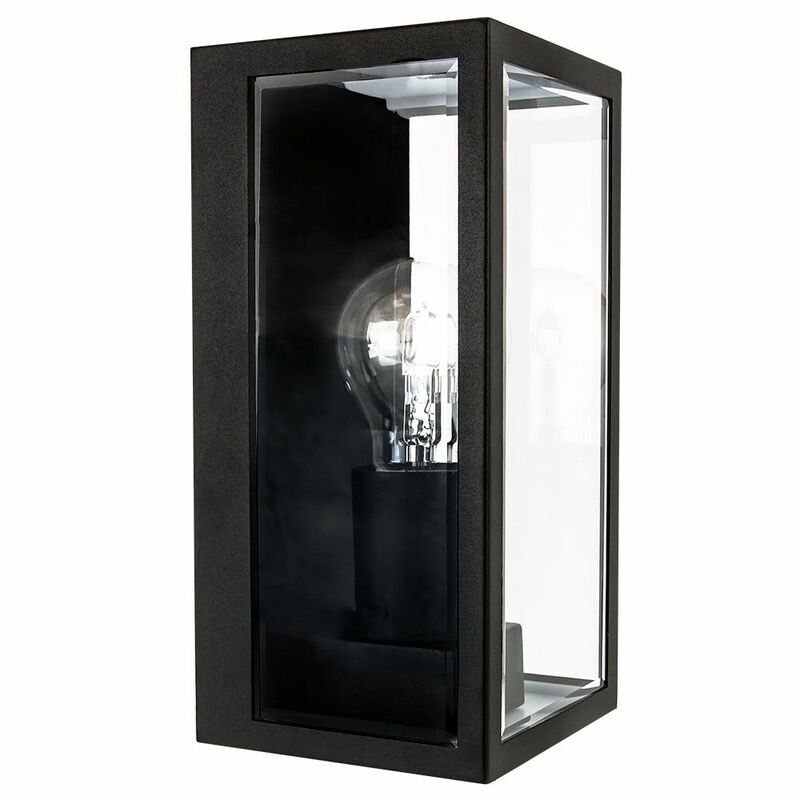 Features transparent bevelled glass sides and must be fitted vertically. Product measurements: Height: 24cm, Width: 12cm, Projection: 11cm.